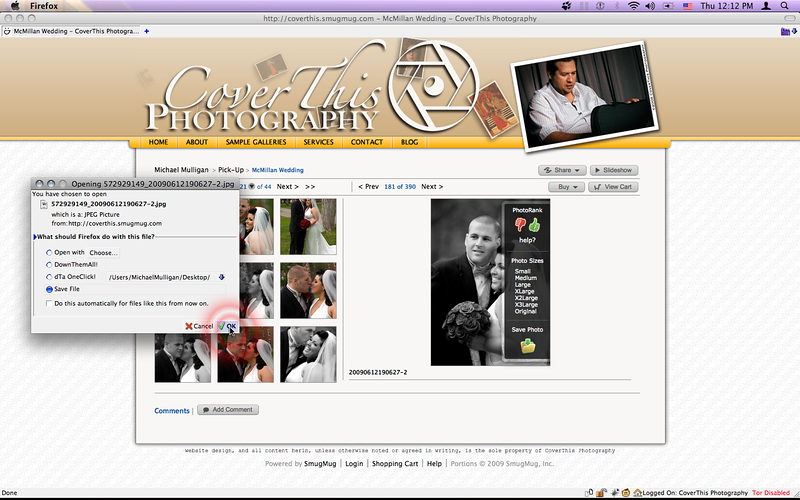 If your gallery is set up for full access (certain contracts only) you will have the ability to download full-resolution images, free of charge. Hover your cursor over the larger version of the image (without clicking). 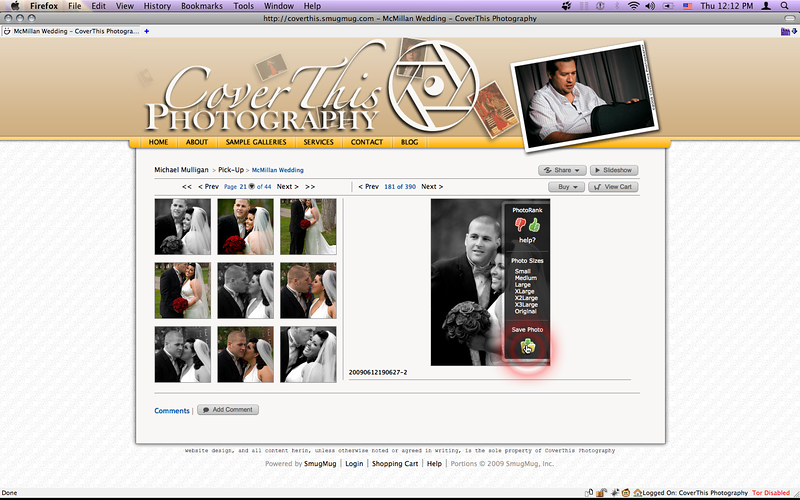 This will cause a menu to appear over the photo, with rating and view options. Depending on your browser, this should bring up a Save File dialog. Congrats! You just downloaded a full-resolution version of your image.